From the Old Testament era to ancient Rome to the Dark Ages--from crusader castles to frontier settlements to Federal era ships, these books run the gamut of Western history. 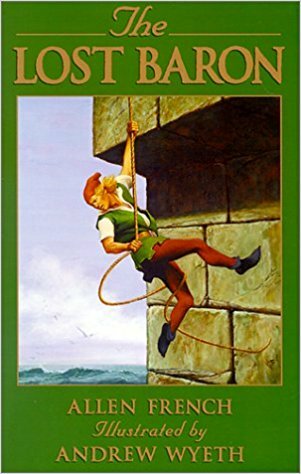 Tale after tale of adventure brings these various historical epochs to life again with inspiring and unforgettable characters. "Masterful swordplay, powerfully intense battles, deceit and treachery, and the emergence of the saintly Baldwin IV, young Mr. Sadasvian has weaved a vivid and enthralling tale of a forgotten Catholic kingdom." 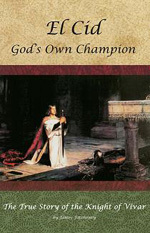 Here is the tale of Godfrey de Montferrat, a young Templar knight who swore an oath to defend the Kingdom of Jerusalem. It is also the tale of that kingdom, which men called Outremer—The Land Beyond the Sea. With the miraculous success of the First Crusade, all said that the heroic tales of old had come to life in that place. But by Godfrey’s day the kingdom is dying, chivalry fading, and foes pressing hard from every side. But Godfrey stands in contradiction to the prevailing corruption. Where others strive to become mighty warlords and kings, Godfrey desires only to become a hero—and a saint. "Prata brings this fascinating tale to life by giving the characters real personalities. They are not mere pawns used to further the plot of the story. Interesting subplots abound....The overwhelming theme is courage, honor, and the Catholic faith. The knights know what the loss of this island will mean. They are willing to die for their faith. There are also many touching moments regarding their Faith. Even though they are in the midst of war, the knights celebrate the feast of Corpus Christi. A conversation takes place between a squire from Germany who wants to take up arms in defense of the Faith and a knight from Italy who advises, 'All in good time, little brother. Youth must learn that service is more than death. We must strive to live for the Word before we can die for it.' The book is a real page-turner." Mark Twain was a persistent critic of organized Christianity and an occasional abuser of Catholicism. 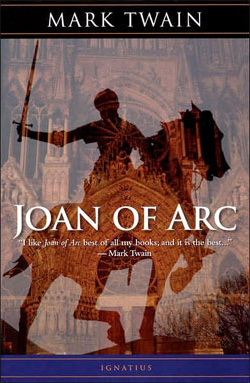 However, in 1896, he published an absolutely beautiful historical fiction account of the life of Joan of Arc that is completely sympathetic to the Catholic Church in general and to Saint Joan in particular. Personal Recollections of Joan of Arc tells Joan's story from beginning to end and Twain handles his subject with a delicacy bordering on reverence. The work is little more than an eloquent retelling of Joan's history, from her humble upbringing in Domrémy, to her glorious exploits on the field of battle, to the grotesque mockery of a trial which condemned her as a heretic. The story is told through the eyes of Joan's page, Louis de Contes. It is alternately profound, humorous, inspiring, and shatteringly sad. Twain called it his best and favorite work and though lengthy, it is an easy and enjoyable read. While not strictly "historical fiction", this book has a narrative style that is novel-like in its quality. El Cid, God’s Own Champion is an inspiring new biography of the extraordinary Catholic knight chosen by God to save his nation from Islamic aggression. Known by the honorary title of El Cid, Rodrigo Diaz is a legendary hero whose story is directly relevant to modern times. Exiled by his king, insulted and maligned by those who should have supported him, he selflessly fought against seemingly insurmountable odds to save Christian Spain. He commanded the respect even of his enemies--upon his death a Muslim historian acclaimed him, “a miracle among the great miracles of the Almighty.” The Cid is an example of what can be achieved through devotion to duty, prayer, and trust in God. 15-year-old Leo is an orphan being raised in an abbey in the days of King Richard the Lionhearted. Abbot Michael alone knows Leo’s story and family line and unexpectedly, when the heir to the house of Wardlock is killed in the Crusades, he sets in motion events in which Leo will need every scrap of wisdom and endurance gained in the years at the abbey. For he is not only heir to Wardlock, but also to its rival—the house of Trémoine! Vividly set in the deeply pious and violently turbulent twelfth-century England, this authentic and stirring tale of suffering and courage shows a boy who—to claim his heritage—must first see it transformed by the power of love and forgiveness. Ascending the Catholic Throne of Jerusalem at the age of 13 in the year AD 1174, Baldwin IV faced one of the most difficult tasks in all of history. As Sovereign, he had been entrusted with defending the embattled Kingdom against the Turks, now led by a military genius known as Saladin. Yet there were also enemies within his own ranks—the ambitious Count of Tripoli, the outlaw Hawk of Kerak, and his own scheming sister. On top of all this, Baldwin's body was slowly being consumed by leprosy. With the burdens of manhood thrust upon him in the flower of his youth, Baldwin faced enormous challenges both on and off the battlefield. Readers of all ages will delight in this fast-paced and inspiring story which brings to life the tremendous drama of the Crusades. With color and vigor, Adele and Cateau De Leeuw capture the spirit of the Crusades in the exciting story of one boy's experience as he is swept into the drama of a great historical movement. As he heard the shouts of the men around him, Richard hardly dared to believe that he was a Crusader about to enter his first battle. Only two years ago he had been a poor Parisian apprentice listening to a monk preach the Crusade of saintly King Louis IX. Now only a short stretch of water separated him from the enemy, and the bright banner rallied the King's troops to face the onrush of Saracens assembled on the Egyptian shore. Little did Richard know the challenges that lay ahead for a raw young recruit . . . bitter fighting, death, disease and starvation. But there were older men to help him, like Aimar, who taught him the secrets of warfare. And others, like light-fingered Vincent, who lived well through thievery and tempted Richard to do the same. Peter Staunton was wandering near the ruined castle of Carreg Cennen in the hill country of the Welsh border when he stumbled across a rusted gauntlet. 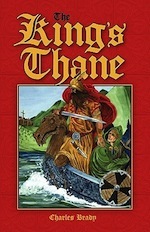 By idly slipping it on his hand, he begins an adventure that takes him back in time to the 14th century, when his Norman ancestors held the castle. Now, as Peter de Blois, he is plunged into a world of chivalry and honor, of archery and falconry, of grand feasts and castles, of heart pounding jousting tournaments. These rousing pastimes give way to rebellion. Suddenly besieged in their castle, surrounded and outnumbered, the Normans are in peril. Will Peter be the only one who can save the day? A finely authentic picture of life in the 14th century. The coast of Ireland in the 9th century is the prey of Viking marauders. Young Ness has been taken captive by Beorn, on his first raiding trip with his father's band of warriors. She must accompany them as they make their way back to Denmark, and so experiences the dangerous tensions and misfortunes that threaten the entire fleet. Her faith in the Christian God—ridiculed by Beorn—helps sustain her during her captivity. But Beorn grows ever prouder and disaster threatens to sweep him, and Ness, away. The book is set in Iceland in the days when Christianity has come to the island though the old customs still linger. Hiarandi, at the urging of his wife, does an unprecedented thing. He lights a signal fire on a dangerous point of his land, thereby challenging the accepted custom which places lucrative salvage at higher value than the saving of life. However, the life that is saved that night, in the end, causes his own death and the unjust outlawing of his son Rolf. Rolf's response to this injustice creates a suspenseful, thought- provoking tale difficult to put down. Amidst great mystery, Hugh is left in care of Glastonbury Abbey by his father who must flee England too swiftly to be burdened by a crippled son. Ashamed of his physical weakness yet possessed of a stout heart, Hugh and his friends Dickon and Bleheris uncover a treasure trove, and with it a much deeper mystery regarding the last years of Joseph of Arimathea. In the country of Burgundy, the Sauval brothers raid the Red Keep in hopes of gaining it for themselves only to be thwarted by Sir Roger and young Conan. Now the wicked brothers plot anew to steal the Keep from its rightful owner, Lady Anne. She, with Conan and her loyal followers, sets out to bring justice upon the Sauval brothers. This action-filled tale is filled with the authentic flavor of the 12th century. In the year 781 AD, King Charles of the Franks is crossing the Alps to meet Pope Adrian. On the way, he tells his son Carl that he has decided to name him his heir. But the King already had an heir--Pepin the Hunchback, mockingly called Gobbo. This multi-faceted story will stir the imaginations of young people as, through Carl's eyes, they discover the grand dimensions of western Europe's foundations. Young Simon, recently and tragically orphaned, becomes a scribe in the following of the exiled Archbishop of Canterbury, Thomas Becket. The uncertainty of the tumultuous years leading to the infamous cathedral slaying is heightened by Simon's separation from his twin Edmund, who is in the service of King Henry II. 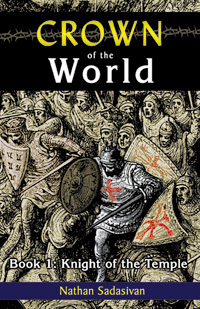 With an expert pen, Barbara Willard deftly recounts the events leading to the bishop's martyrdom in 1170 AD. Raised during the strife-filled days of the reign of King John of England, in a rude peasant village by “Old Marm,” Big John understands that an injustice has been done to his family and that Old Marm is preparing him one day to reclaim his name and family honor. He must avenge his unknown father! But Old Marm dies, and he is left without a clue to his name. 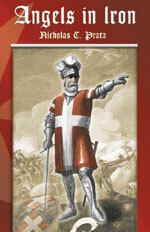 In the next years John’s unusual size and strength earn him a place as page to an earl organizing the 5th Crusade. In the Holy Land, John searches for a father he hopes is living still. Amidst battle, capture and setbacks, John encounters Francis of Assisi who had come to the Holy Land to preach the Gospel to the Saracens. Set in Northumbria at the time of St. Paulinus (mid-7th century) and the conversion of King Edwin, this story retells the tale of Beowulf. Bjarki, a Viking descendant of the legendary "Beowulf" comes to King Edwin's court from Geatland to rid the King's halls of the Grendel. He takes Beorn, a lame boy, to be his thane, and Beorn's life is forever changed. Beorn eventually accepts Christianity, as does his King, and becomes a monk. As a monk, in his old age, he writes the story of the original "Beowulf" as he promised Bjarki he would. In this way Brady accounts for the long-held scholarly opinion that Beowulf was written by an English monk . . . and tells a great story doing so. This story ably blends the quest of Bjarki with the quest to convert England to Christianity undertaken so courageously by the missionaries. s.
Beowulf the Warrior is an outstanding modern version of the oldest epic in the English language. Ian Serraillier has retold in verse the story of the hero Beowulf and his three memorable exploits--First, his rescue of Hrothgar the Dane from the ravages of the monster Grendel; next, his victory over Grendel's horrible mother; and finally, Beowulf's old age and saving the Geats from a terrible dragon at the cost of his own life.